Η Opel ανέθεσε στον Valentino Rossi και στον Aldo Drudi, ένα σχεδιαστή, να δημιουργήσουν ένα ξεχωριστό Opel Adam το οποίο θα δημοπρατηθεί για φιλανθρωπικό σκοπό τον Δεκέμβριο, αφού όλα τα έσοδα θα πάνε στο Meyer Children’s Hospital Foundation. Το one-off Adam, έχει ονομαστεί Adam & Vale, είναι εμπνευσμένο από τη MotoGP μοτοσυκλέτα του Rossi και φορά μαύρες γυαλιστέρες ζάντες. 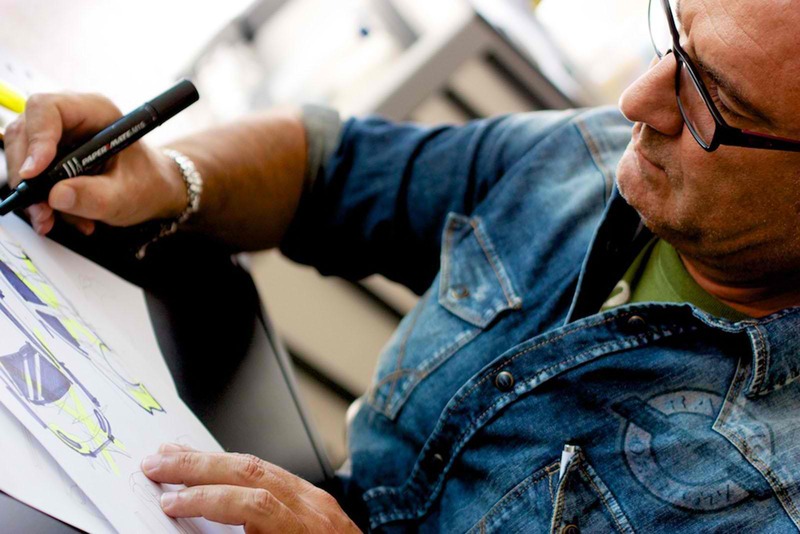 Στο εσωτερικό υπάρχει Dainese δερμάτινα καθίσματα που μοιάζουν με μια στολή μοτοσικλέτας. 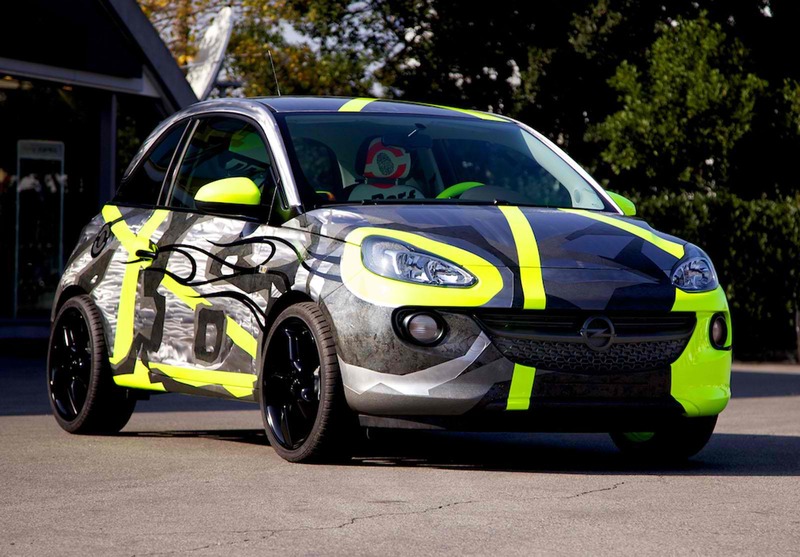 Milan, Italy: ‘ADAM & Vale for Charity’, a fully customized version of Opel’s small city car is the result of Valentino Rossi’s creativity combined with the experience and expertise of Aldo Drudi, a designer who has been collaborating with Valentino for years. The champion pair has developed an original and unique project to support a charity initiative sponsored by Opel: the Meyer Children’s Hospital Foundation. The car will be put up for auction during a fund-raising event next December, organized by the Foundation to support the activities of the Meyer Hospital. 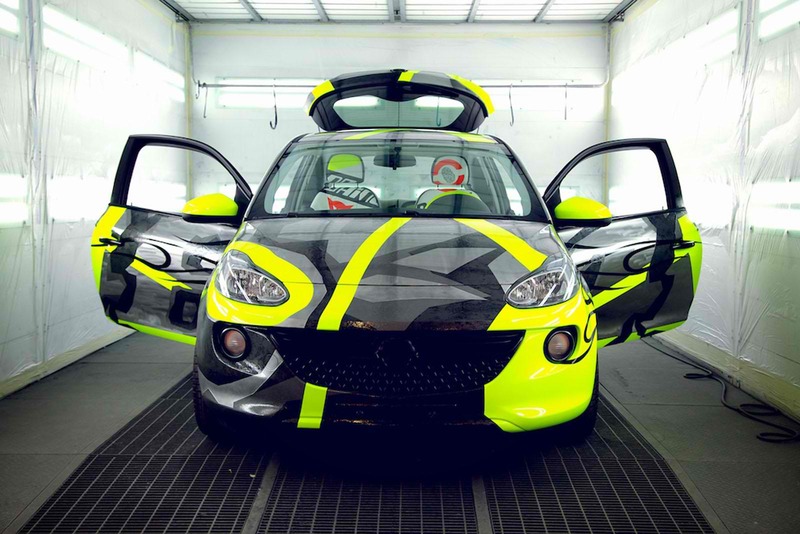 ‘Customizable from roof to wheels’: Opel ADAM has channeled the creative energy of Valentino Rossi and Drudi, who have redesigned it not only drawing their inspiration from the Champion’s graphic universe (such as Valentino’s most widely known fetish images and the symbols most treasured by him) but intentionally reversing its image. 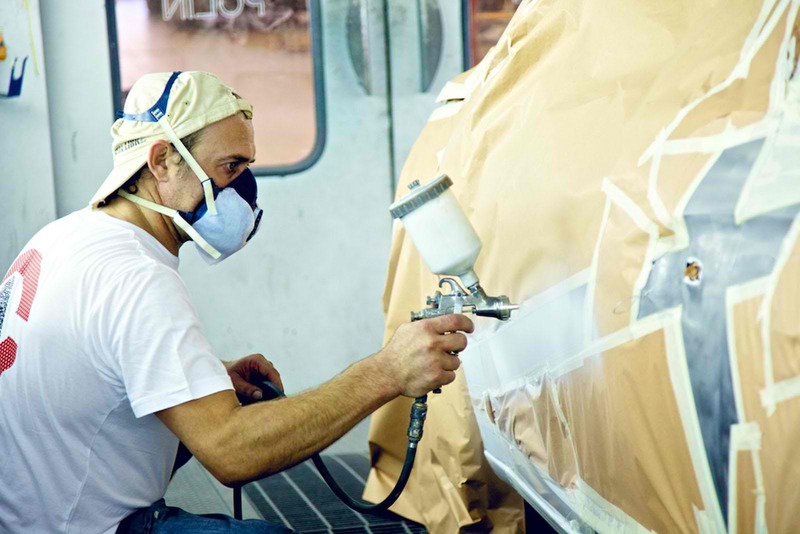 For three months, a team of four people directed by Drudi worked to completely redesign the car livery, while Dainese leather was used for the interior trim. 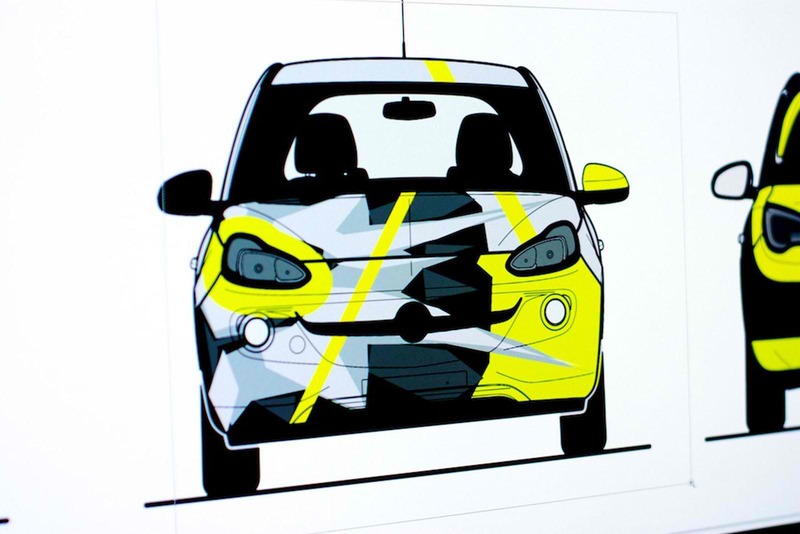 “We’ve worked together as a real team; everyone has contributed not only his or her own expertise and ideas, but also true, enthusiastic support for a project that immediately appealed to Valentino and Drudi” – said Roberto Matteucci, Managing Director of Opel Italy. The Meyer Children’s Hospital is an example of Italian excellence in the public healthcare sector: it boasts an innovative approach centered on the young patient and his/her well-being and is aimed also at improving the quality of hospital stay for the patient’s family. Besides high-quality pediatric specialty care and scientific research activities, the hospital offers a whole range of medical and hospital activities which are all creatively integrated with games and playfulness. The Meyer Children’s Hospital Foundation supports the hospital in carrying out scientific research work and excellence health projects with continuous upgrades of technological equipment. And that’s not all: it invests in facilities to welcome children and make the hospital environment more comfortable for them while supporting their families. “The car has turned out beautifully and we’re happy that it will be used to support the Meyer Hospital. We hope that this choice fires up everybody with the same enthusiasm we feel, because we can accomplish a lot together”, they concluded. Επόμενο άρθροVideo: Με το νέο trailer του Gran Turismo θα μαζεύεις το σαγόνι από το πάτωμα!